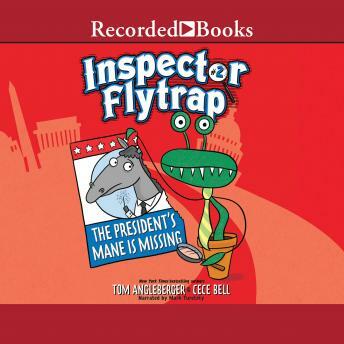 Inspector Flytrap and Nina the Goat return in a set of mysteries involving the president of the United States and a very large horse statue that mysteriously attracts a threat from outer space. Welcome to Inspector Flytrap's Detective Agency, home to the world-renowned solver of BIG DEAL mysteries. Inspector Flytrap, a Venus flytrap, works tirelessly with his assistant Nina the Goat, a goat, on his community's unsolved cases. There's no case too big, but there are definitely cases too small for this endearingly self-important plant detective.